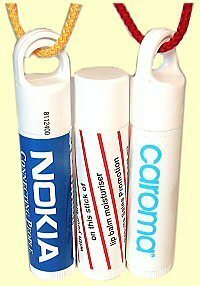 This lipbalm is a soft, non greasy, vanilla flavoured moisturiser in a white plastic wind up stick which is colourless when applied to your lips. It is available with or without SPF30+. Flat top or clip top (additional cost for clip top) and you can choose SPF30+ or Moisturising. Please specify type required.